Outdoor spaces for maximum enjoyment. 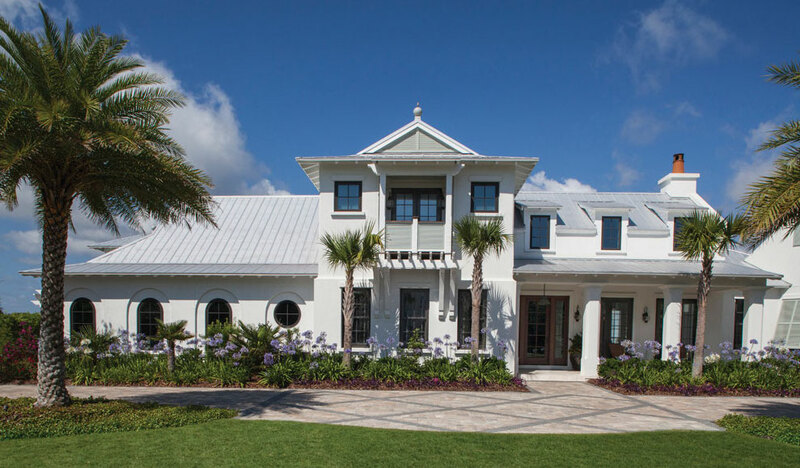 Inspired by the Anglo-Caribbean architecture of Windsor in Vero Beach, our homeowners signed on for white stucco with dark wood, courtyards and pavilions, balconies, verdant landscaping, natural materials, and the serenity that comes from easy living. 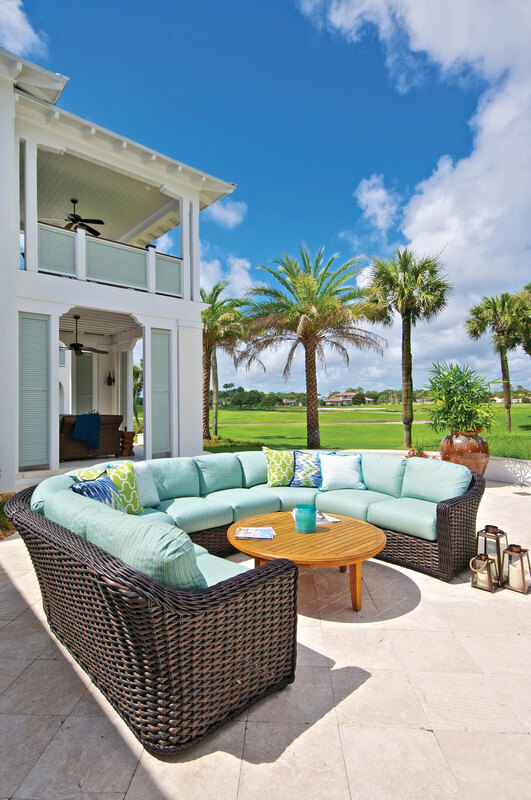 In all, we created 11 different outdoor spaces – loggias, porches, balconies, a covered pavilion, and two courtyards. There were also special features – a wood-burning fireplace, private spa, grill/bar area, a fountain, and a golf course view. 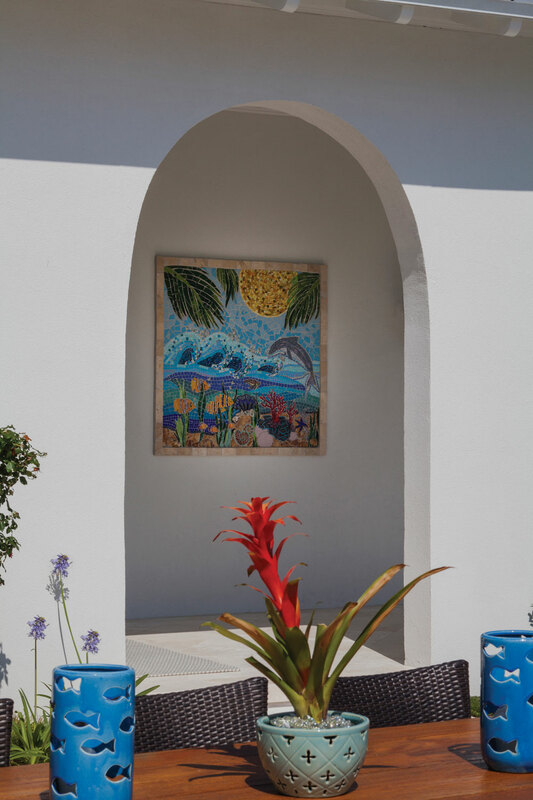 The owners love spending time outdoors and we felt the importance of creating variety for each area, but at the same time having them relate to one another and to the interior. 1. 1st Place – Outdooor Living | ASID 2014 Annual Awards, judged by a jury of interior designers from across the US.